After taking five years off between undergrad and grad school, I imagined it would take me a while to readjust to being a student again. I also imagined I’d spend a lot of time in the library. The first of these expectations was true: it took me half of fall semester to get used to managing classes, papers, reading, and work again. But surprisingly, the second was not. Although I do go to the library sometimes when I study on campus, more often I tend to go to the Graduate Student Center (GSC). For those of you who may not be familiar with the GSC, it opened in 2001 and is located between 36th and 37th Streets on Locust Walk. It has a large common room with tables, couches, computers, a café that has great lunch deals, and free coffee and tea all day (if you bring your own cup). There are a lot of programs for students—foreign language chats, teaching workshops, and other activities. And there are also cute gnomes scattered throughout the building, sure to brighten anyone’s day. The GSC has a great community atmosphere. I almost always see someone I know when I stop by for lunch or to read. The GSC is also a unifying space for grad students. 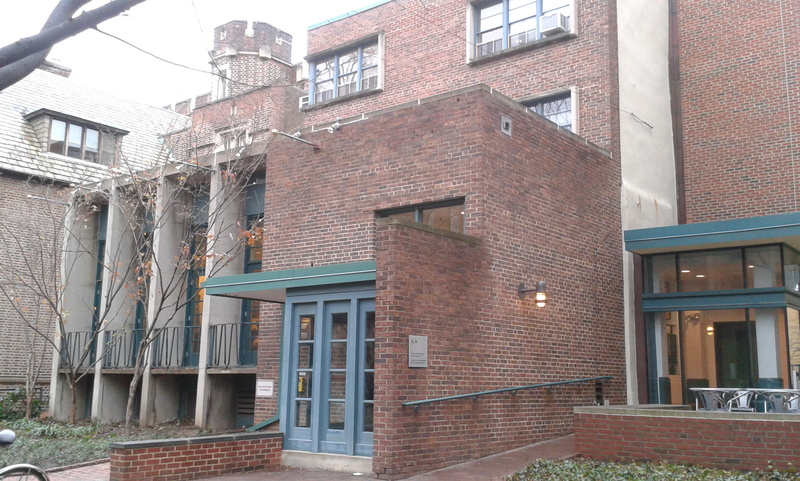 There are twelve different graduate and professional schools at Penn, and the GSC is a place where students from all schools can come, like me, to study, eat, or take a break between classes.